58977 RA3935.jpg 500X638\RA3935.jpg Send A Hint! Product Description: less text A range created with the little one in mind. 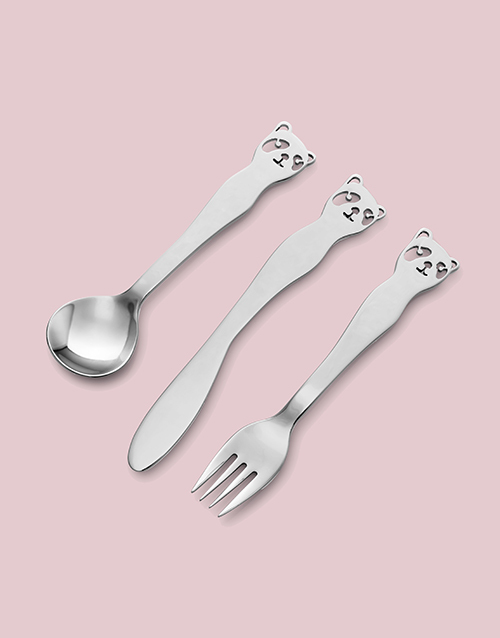 This beautiful hand crafted panda children's cutlery set make the perfect gift for a little one for any special occasion! Spoil them to the perfect fine dining experience and send the little one this adorable gift today! 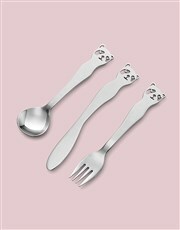 Get this Carrol Boyes Children Cutlery Set delivered with NetFlorist.